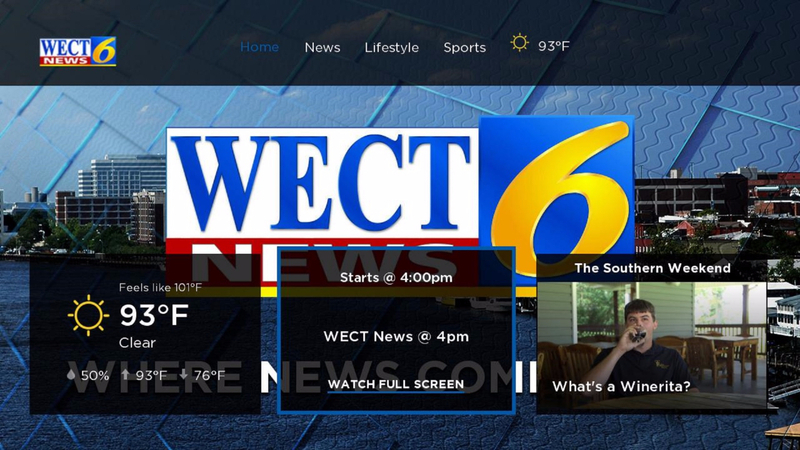 Watch the WECT News team on your schedule with the latest in local news, live streaming, and video on demand. “Where News Comes First” isn’t just our motto, it’s our commitment. 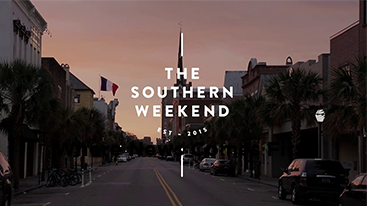 That commitment makes us southeastern North Carolina’s #1 trusted newscast. 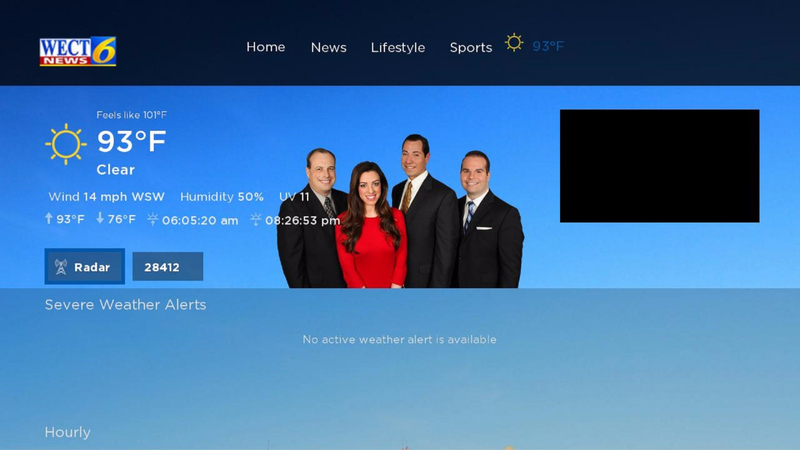 Stay ahead of the weather with the WECT First Alert Weather Team. Get the latest with live radar, hour by hour and 10-day forecasts from the team that promises to alert you first. The WECT Sports team has the latest in high school, college, and professional sports from around the Cape Fear, the state, and the country. We've got all the games, scores and highlights you're looking for. 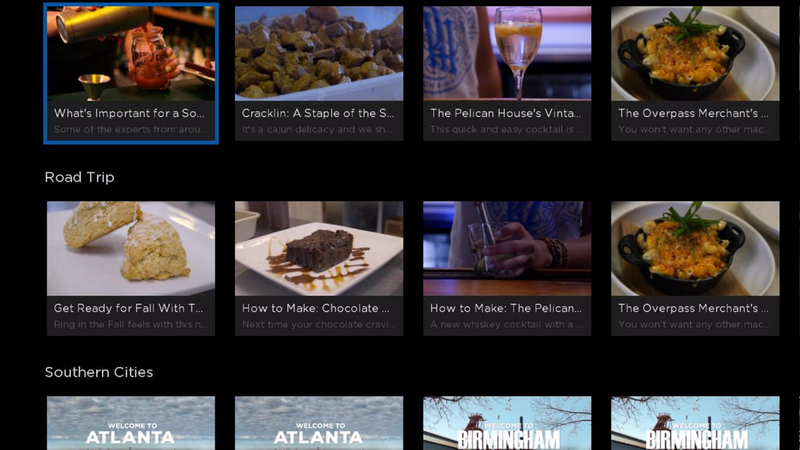 We’ve got what you’re looking for whether you’re seeking outdoor adventures, know travel destinations in your own backyard, movie reviews for the biggest blockbusters or recipes and restaurants to satisfy even the most demanding foodie’s appetite. 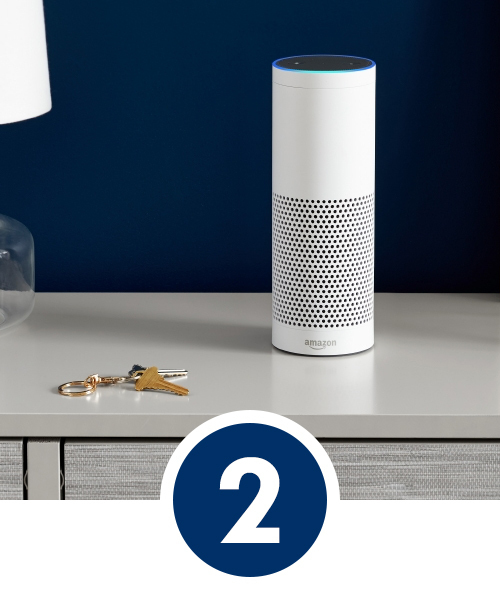 DID YOU KNOW WECT IS NOW ON AMAZON ALEXA? 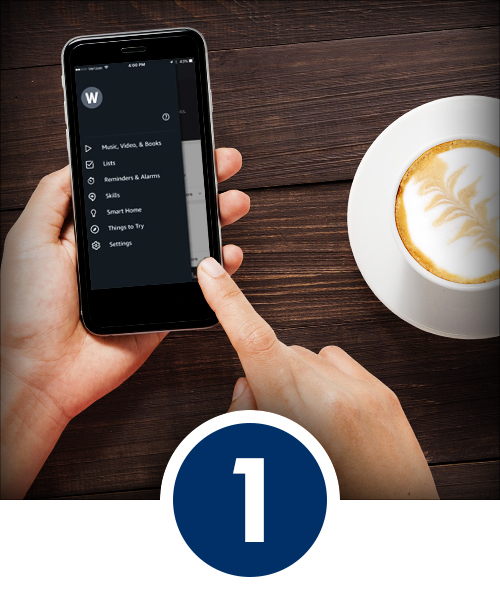 Download and log into the Amazon Alexa app or your Amazon.com account. 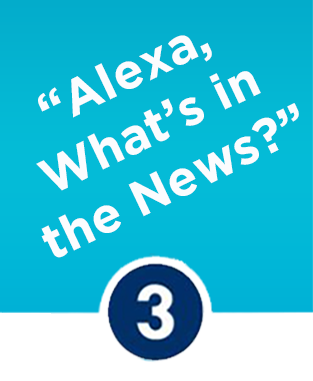 Add the WECT skill by searching for WECT under skills in the Alexa App or by clicking here on desktop. Ask Alexa "What's in the news?" 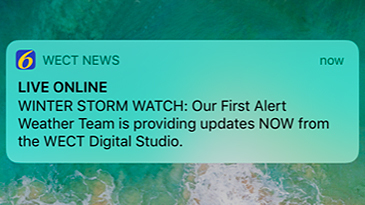 to get the latest from WECT and the First Alert Weather Team. 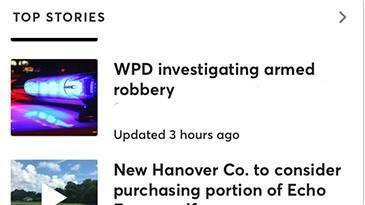 Catch up on today's top stories on your schedule with the latest in local and national news. “Where News Comes First” isn’t just our motto, it’s our commitment. That commitment makes us southeastern North Carolina’s #1 trusted newscast. 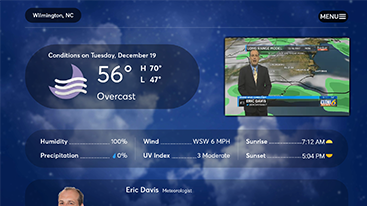 Be the first to know by getting breaking local news and weather sent straight to your mobile device. 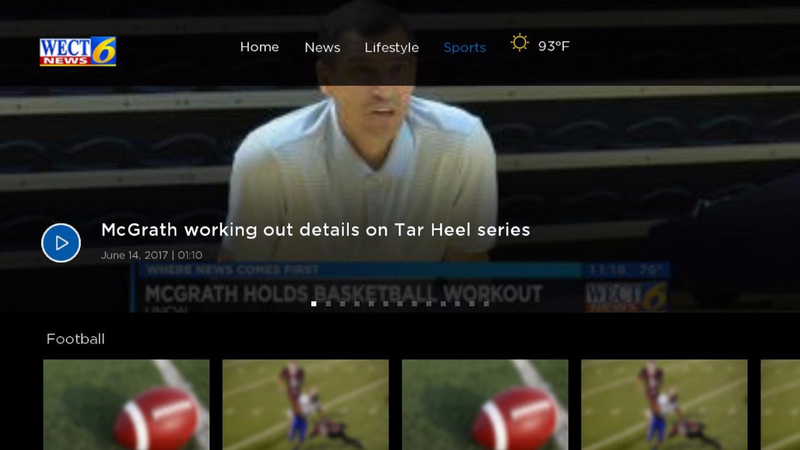 You can watch WECT News LIVE from your WECT News app! 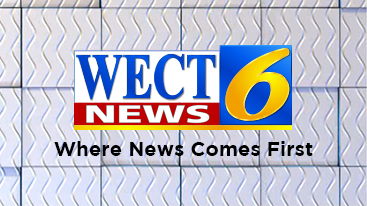 Watch Carolina in the Morning (5-7am), WECT News at Midday (12pm), First at Four (4pm), WECT Evening News (5-6:30pm), and WECT News at 11 (11pm) anywhere you are! Missed a newscast? Don’t worry! You can watch a replay of the most recent newscast between shows. 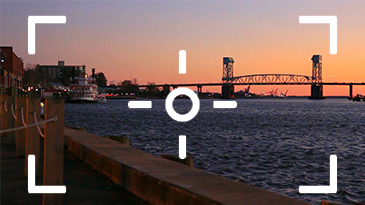 From breaking news to beautiful Cape Fear sunsets, share your favorite photos with our newsroom. 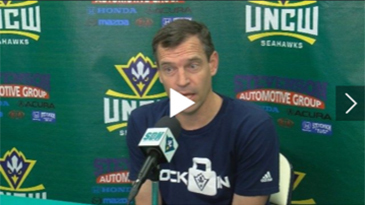 They may even be featured on-air, our social media sites, or on WECT.com! 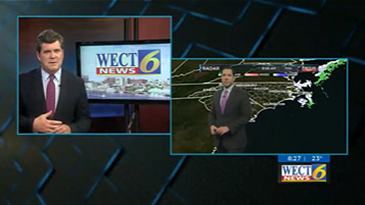 Let your family and friends know that WECT is ANYWHERE you are!